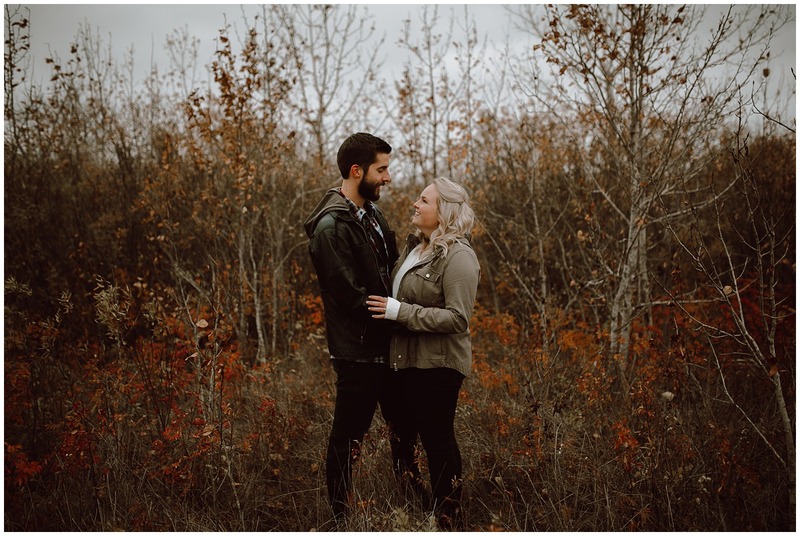 Katie + TJ picked Fort Whyte in Winnipeg for their engagement session. 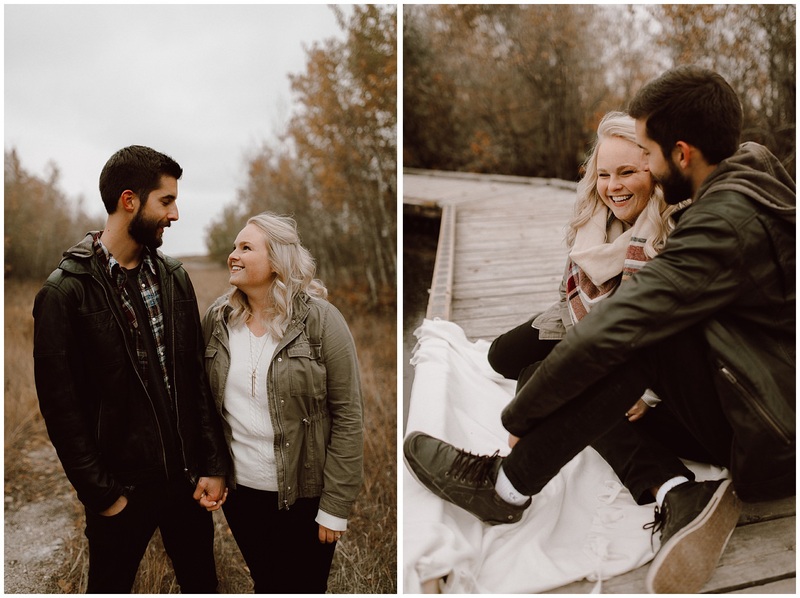 It was a very chilly day if we’re being honest but I love the way these photos turned out. 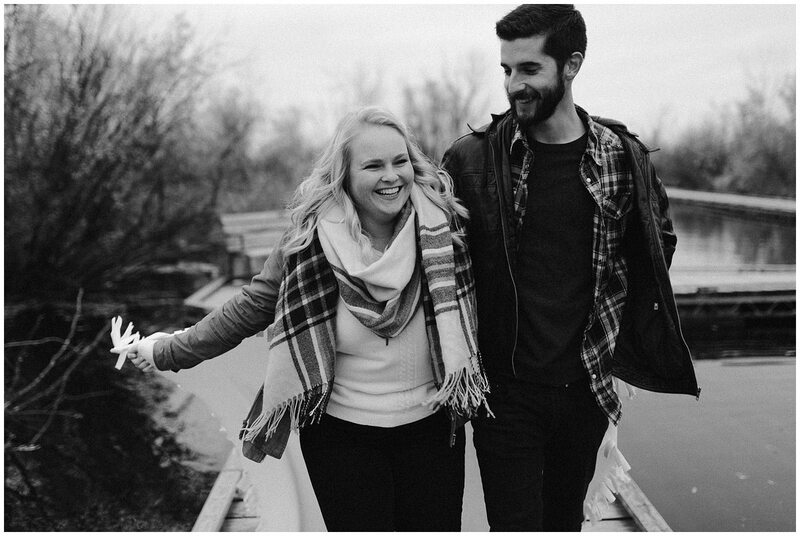 I’m so excited for their wedding next fall! 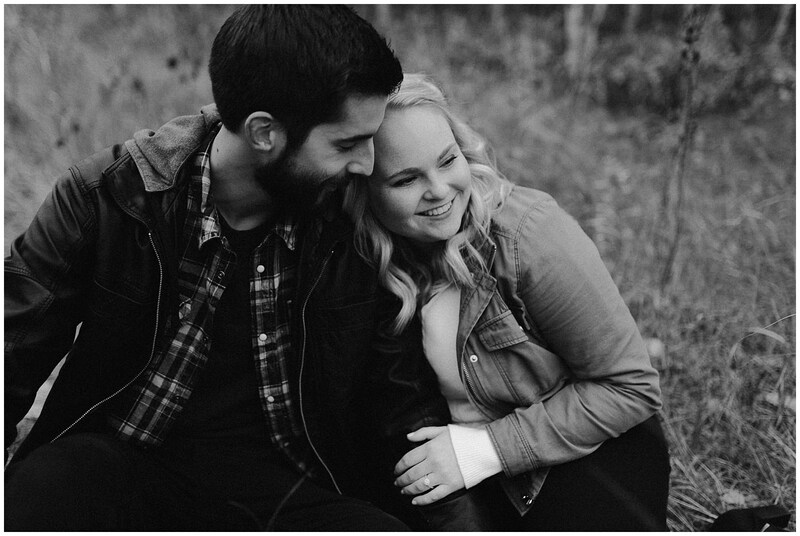 I hope you enjoy this snippet of my time getting to know Katie and TJ! 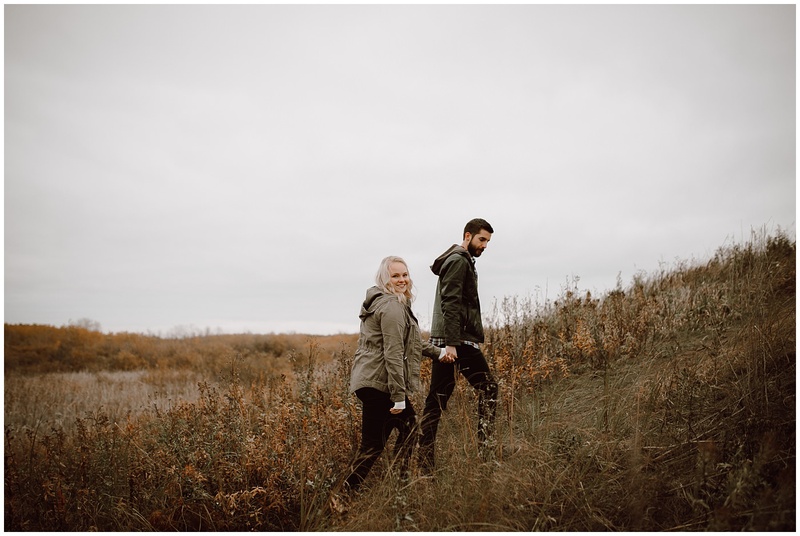 I always suggest that my couples treat their engagement session like a date night. 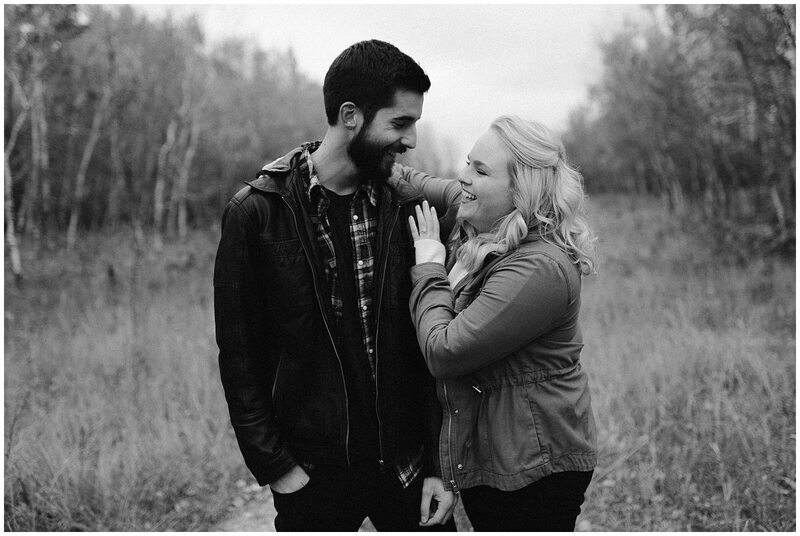 It’s a chance for you two to hangout and love on each other and it’s my job to take amazing photos of you in love! All you have to do is show up. 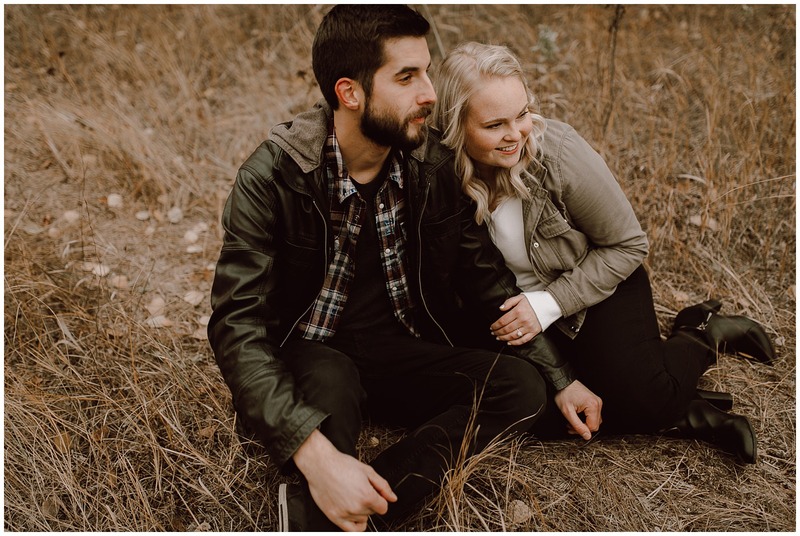 Engagement shoots are relaxed and really fun. 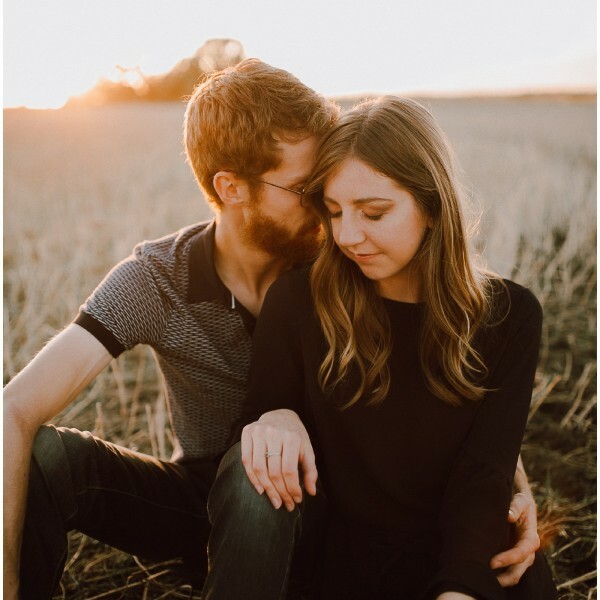 I love getting to know my couples a bit more before their wedding comes around. E shoots act as the perfect trial run! 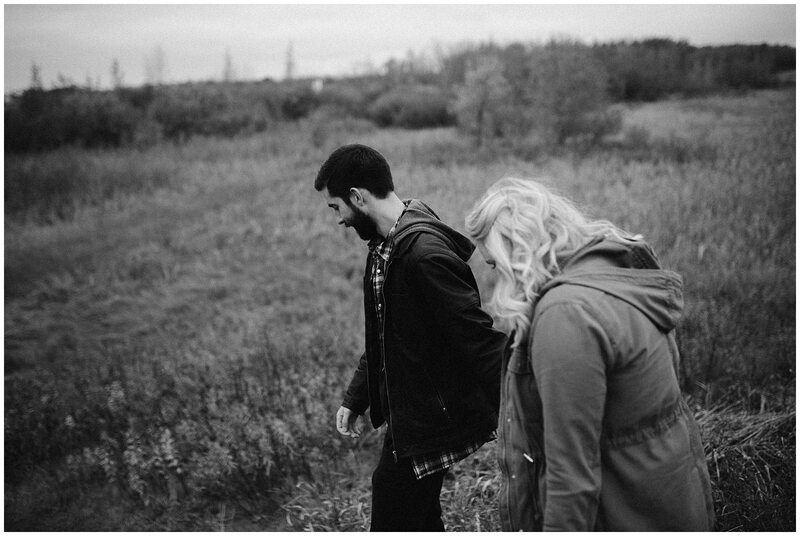 Most of my favourite images are the ones that are natural and joyful. 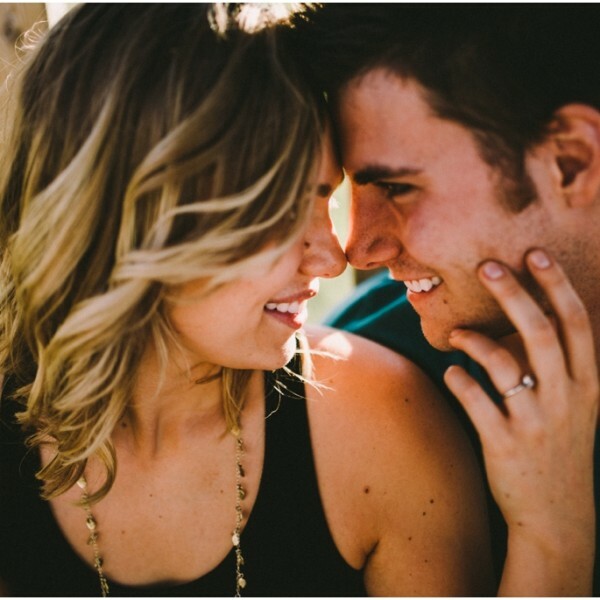 A big part of the natural factor in my images comes from being really comfortable with me as your photographer. I’m probably the least intimidating person. I’ll give you lots of instruction if you need it and prompts to create images full of movement and life. No stiff awkward poses allowed! I just really want you guys to know you’ll be well taken care of it you’re nervous or not used to being the subject! I’ve loved getting to see the beautiful, natural grounds at Fort Whyte in all different seasons now. In my opinion, I think it shines the brightest in the late summer through fall. 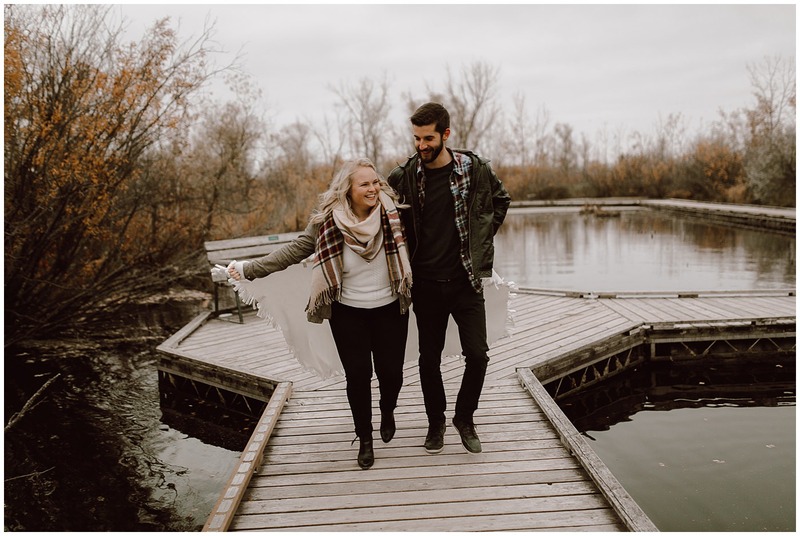 For those still looking for a wedding venue – Fort Whyte has a lovely outdoor patio space for your event and their food is top notch and LOCAL! Dinner is served inside their timber frame building. Plus being able to sneak away for photos in such gorgeous scenery is always nice for us photographers! Worth checking out. 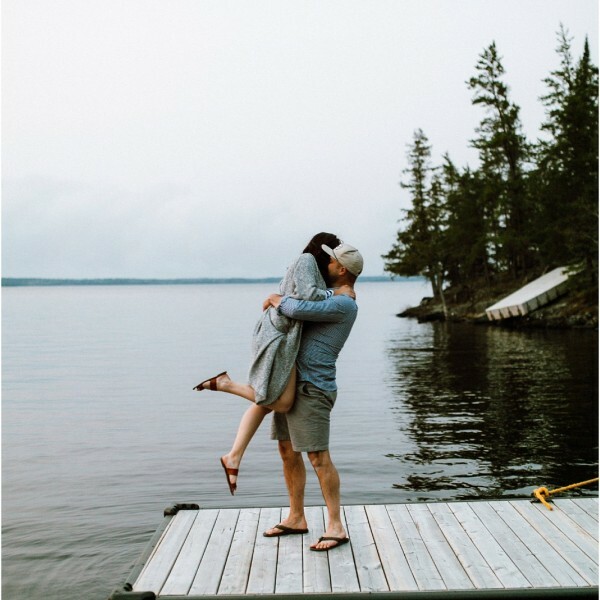 If you enjoyed this blog post, check out another one of my favourite weddings HERE.